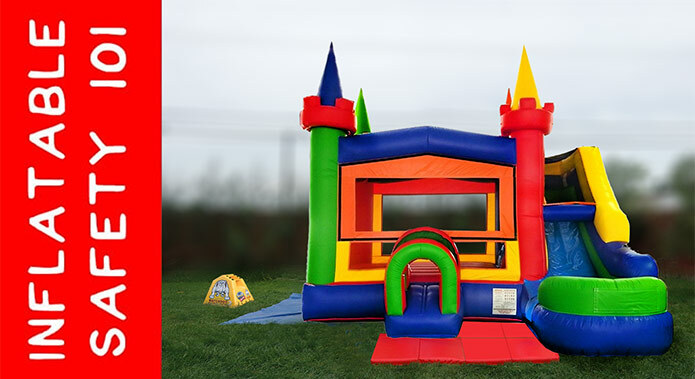 Calling all little boys and girls, come bounce the day away on the Lil' Rainbow Castle Bounce House rental! This vibrantly colored inflatable might have a smaller footprint, but it still provides hours of HUGE fun! All your little bouncers will love bouncing around the 10'x10' bounce house area, and it's perfect for smaller yards or events. The Lil' Rainbow Castle Bounce House rental will sure to be a hit, so don't be left missing the rainbow!